The American with Disabilities Act of 1990 requires public entities operating fixed route transportation systems to provide comparable paratransit services to people with disabilities. Transpo’s paratransit service, is available for eligible riders who, because of a disability, may require an alternative to the regular fixed route service. Individuals must apply and be deemed eligible through criteria established by the U.S. Department of Transportation. Questions or Feedback? 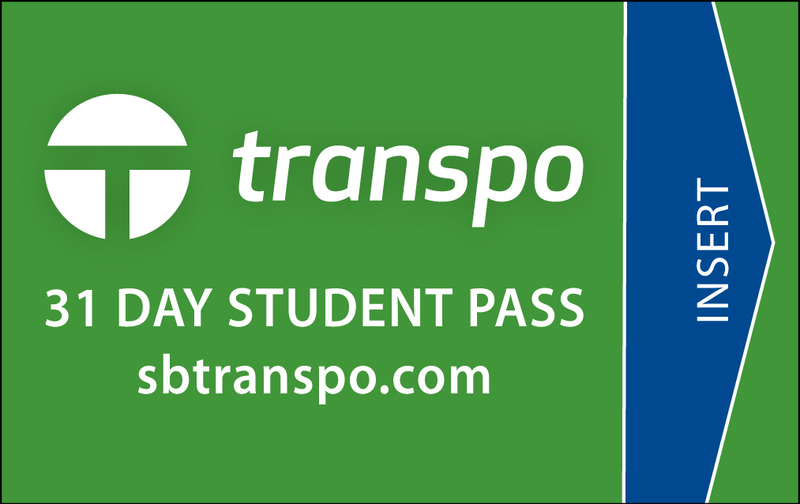 Please feel free to contact Transpo Access via EMAIL or phone at 574.234.1188. To apply for Access service, please complete the Access Application (en Espanol). To renew your Access eligibility, please complete the Access Renewal Application. The applicant, or someone of their behalf, must complete the first three pages. A physician, social service professional or other healthcare professional, who is familiar with the application and how their condition prevents use of the fixed route service, must complete the last page. An eligibility determination will be made and the applicant notified in writing within twenty-one (21) days after the completed application and professional verification form (if necessary) have been received. Service Area – Paratransit service is provided within ¾ mile of our fixed-route service. All trips must take place within the defined service area. Access will determine if your trip is eligible when you call to schedule a ride. Please review our System Map to view Transpo's service area. 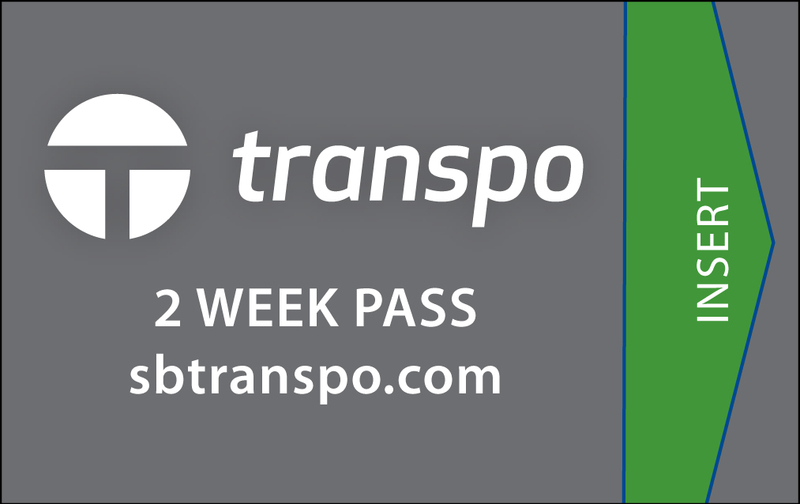 Transpo’s ADA complementary paratransit service operates the same days and hours of service as the regular fixed route service. Monday through Friday - 5:10 a.m. to 10:15 p.m.
*Access will only provide service after 7:00 p.m. on Saturdays to locations within 3/4 mile of Route 7. For reservations and cancellations, please call 574.234.1188. Please be sure to let the scheduler know if you will need assistance from your door to the van and if a personal care attendant, companion or service animal will accompany you. Access will confirm your pick-up and return times. Trips may be scheduled up to one (1) hour before or one (1) after the requested times. There is a thirty (30) minute window for the pick-up time that extends from fifteen (15) minutes before to fifteen (15) minutes after the scheduled pick-up time. For example, if you schedule a 9:30 a.m. pick-up, the vehicle may arrive between 9:15 a.m. and 9:45 a.m. Drivers arriving within the pick-up time period will wait up to five (5) minutes. Any passenger who is not at their scheduled pick-up point and ready to go by that time will be considered a “no-show” and the driver will leave to pick up other passengers. The only exception is for passengers detained by a medical appointment. If you know that you will be detained during a medical appointment, please call Access at 574.234.1188 as soon as possible. When you are ready to be picked-up, call Access and the next available vehicle will be dispatched to pick you up. If you are unable to make your scheduled ride, please call 574.234.1188 at least sixty (60) minutes prior to your pick-up time. A no-show beyond the rider's control, such as hospital admission or late medical appointment, will not be counted towards a potential suspension. If you are a “no-show” for your “going” trip, your return trip will remain unless you call to cancel. Access reviews all recorded no-shows and late cancellations to ensure accuracy before recording against the rider. A no-show beyond the rider’s control will not be counted. Suspensions will be reset to the first offense following one (1) calendar year from the previous first offense. If you are suspended, Access will notify you by mail of the date on which the suspension will begin. The date for the beginning of the suspension of service will be no less than ten (10) days from the date the letter is sent. The letter will indicate the times and dates of the no-shows that have occurred and your right of appeal. Per ADA guidelines, if an appeal is requested, service will be provided pending appeal. The paratransit service fare is $2.00 which is twice the fixed route bus fare as allowed by ADA regulations. A fare is charged for each leg of the trip. Payment is required at the time of boarding. 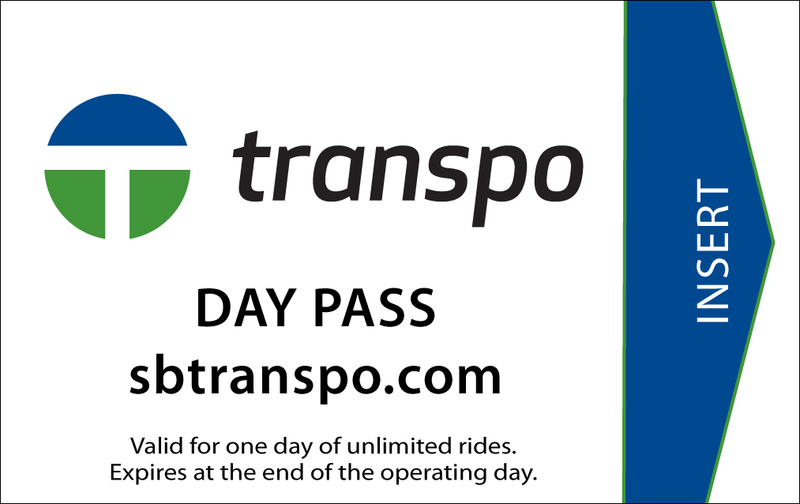 Two-ride and Ten-ride punch cards are available for purchase at Transpo's Adminstrative Offices (1401 S. Lafayette Blvd) or online by clicking HERE. If a passenger uses oxygen, the tank must be portable. Once on board, the portable oxygen tank must ride in a secure location. All passengers must wear seatbelts when appropriate. The number of packages a passenger can have along is limited to the number they can carry and maintain in their seating area. For safety reasons, Access may request that passengers be accompanied by a personal care attendant. Access may suspend or refuse service to any individual whose behavior and/or actions are violent, seriously disruptive, illegal or those that may cause safety concerns. To view a copy of the Access Passenger Handbook, please click HERE. Transpo is committed to providing public transportation services fully compliant with Title II of the Americans with Disabilities Act and Section 504 of the Rehabilitation Act of 1973. Any person who believes there may be either a(n) Accessibility Issue (e.g. physical barriers) or Discrimination Based on Disability may file a signed, written ADA complaint in writing, over the phone by contacting Transpo's Customer Service Representative at 574.232.9901 or by email at businfo@sbtranspo.com. ADA Complaint forms are available online HERE or by contacting Transpo's Customer Service Representative at 574.232.9901.